This vacation rental is a great value for its size and location. Located in the popular Dollar Point neighborhood this rental home is an easy walk away from large swimming pool, children’s' play area and tennis courts. There is access to white sand beach with BBQ facilities and volleyball and long pier. With 4 bedrooms and 3 bathrooms this property will accommodate up to 8 people. Just off of the entry is the first of the three guest rooms with two twin beds. There is a bathroom next to this room and easily accessible from the living area. The master bedroom is down the hall with a king size bed and its own private bathroom. Up on the second floor you will find the other two guest rooms, each with a queen bed. There is a shared full bathroom on the floor as well. The living room, dining area and kitchen feature vaulted ceilings and huge stone fireplace with stored firewood. There is a back deck off of the dining area great in the summer for BBQ-ing and relaxing. There is also a spacious yard and 2 car garage. Easy drive to Tahoe City with excellent dining, shopping and entertainment and not far from famous ski resorts. This house has everything you will need to enjoy your stay including fully equipped kitchen, Wifi, large flat screen TV in living room and flat screen in master bedroom. I would say that staying at Dollar Point was one of the best vacations I have ever had. My family and I had an amazing time. The Associates at O'Neal go above and beyond the call of duty and will help you in any way they can. The staff at Dollar Point, are friendly, welcoming and I have nothing bad to say about anything. If you want to stay at a top notch vacation spot...you can not go wrong at dollar point and going through O'Neal. On a family vacation on the northern California coast, our family decided to make a spontaneous stop on our way home in Lake Tahoe. The owners were able to accommodate us on short notice which was fabulous! We've stayed in good VRBO's and not so good VRBO's, well this house is one of the best!! It's absolutely spotless and well stocked with everything you could possibly need! The kitchen is a dream with plenty of counter space and outfitted with a sufficient amount of dishes, pans, cutlery, and even slow cooker. There are also tons of extra paper towels and toilet paper, ensuring you will never run out. The bedrooms are well appointed and comfortable with extra sheets, blankets, and pillows. There was even a night light in the room with two twins, a wonderful surprise for our young child who is afraid of the dark. The bathrooms are immaculate and are supplied with extra towels. The home is located in an area with a community pool, beach and pier. We were only there 2 nights so we were not able to take advantage of the beach but we did visit the pool and found it large and not crowded. 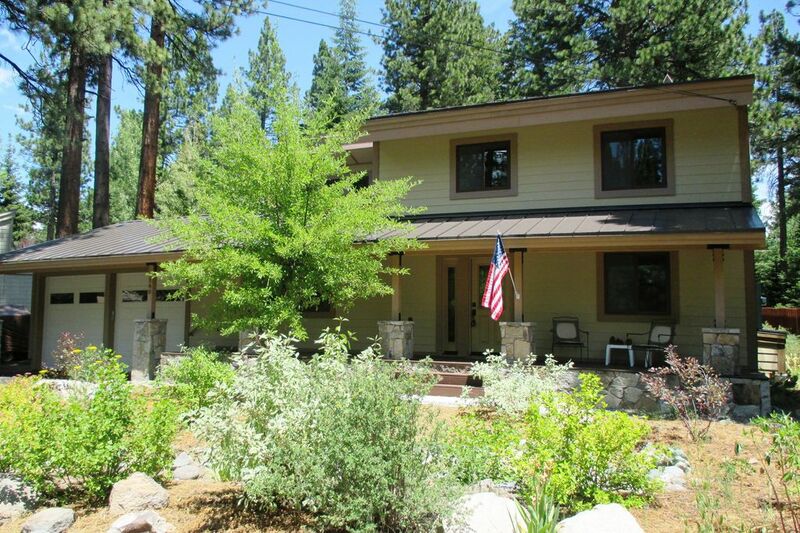 We were very pleased with this house and should we ever vacation in the Tahoe area again, we will surely be repeat visitors!